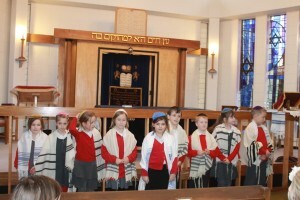 The Norwich Hebrew Congregation and Norwich Liberal Congregation have an education programme for schools, youth groups and other interested organisations. We prefer to work with groups of 30 children. Wherever we work we provide an interactive session. We visit schools and ask for a donation of £150 a half day, £250 a whole day. Sessions are taught by a small team of experienced teachers and members of the community. Our team liaise with Norfolk SACRE, and National RE providers and examination boards. We try to ensure that every child has the opportunity to participate. Discover ancient symbols, what they mean, where they come from. Discover why the Torah is central to Jewish Life, How a Sefer Torah is made, How many commandments there are and How they relate to everyday life. Experience: wearing of prayer shawls and skull cap; recite some hebrew, See inside the ark, see a facsimile Torah scroll close up, and handle antique sections of a Torah Scroll, Prayer book, Siddur, the Tanak Bible or Chumash. Discover why Jewish families celebrate the Sabbath or Passover. 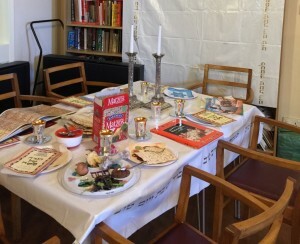 Experience : the weekly Shabbat Supper or Annual Passover Seder Supper. Drink Grape Juice, eat Challah, Passover Matzo, and bitter herbs. 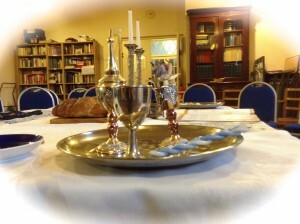 We will demonstrate the close of Shabbat when all the senses are used by lighting the Havdalah candle, smelling spice. Discover the story of Judah and the Maccabees and the Miracle of Hanukah, an eight day festival. This commemorates when the Maccabees recaptured and cleansed the Temple (164BC). They found only enough oil to keep the Temple Menorah or everlasting light Ner Tamid, alight for one day. The oil miraculously lasted for eight days. The nine candle menorah, Chancukia, is lit every evening, the number of lights increasing each day until all are lit. The ninth candle holder is the servant to light the others. 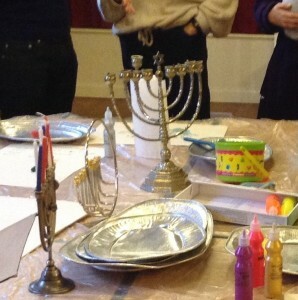 Students can act out the story, compare various types of Hanukah lamps, make dreidels and play the dreaded game , learn and sing festival songs. 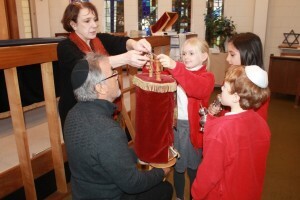 If you would like to arrange to visit the Synagogue or have a classroom visit, please email visits@norwichsynagogue.org.uk for further details and to book.